For a generation bombarded with the hackneyed line of romantic films where a rich beautiful girl falls for a poor, hard-working guy, Zero is like a breath of fresh air, with the protagonists being far below perfect yet living life to the fullest. 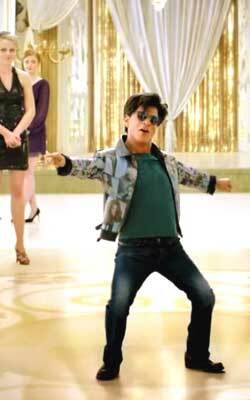 Zero is the story of Bauaa Singh (Shah Rukh Khan), a 39-year-old 4-feet-6-inch good-for-nothing son of an affluent man and who spends his time wasting his father's hard-earned money, finding himself a wife and fantasising about actress Babita Kumari (Katrina Kaif). A local matchmaker (Brijendra Kala) sets up a blind date for Bauaa with Aafia Yusufzai Bhinder (Anushka Sharma), a wheelchair-bound space scientist with cerebral palsy and responsible for discovering water on Mars. Bauaa pursues Aafia without any intention of marriage, but eventually finds himself falling in love with her. Things become complicated when the woman of his dreams Babita Kumari kisses him in a drunken stupor, following a break-up with her boyfriend Aditya Kapoor (Abhay Deol). So when Bauaa gets another chance to meet woman of his fantasies, he leaves Aafia on the day of their wedding and goes to meet Babita. The story has substance, showing that what one can and cannot achieve are determined by mental strength and not by the physical disabilities. However, the execution - the bane of most well-intentioned movies - suffers. The first half breezes along easily, aided by the witty humour and the friendly banter between Bauaa and his friends and family. However, the issues quickly start thereon - to start with, Bauaa, who didn't even study beyond 10th standard, being chosen as the lone passenger to Mars by NSAR (a premier space agency) strikes you as far-fetched. While everyone loves a zero-to-hero story, the sheer magnitude of this transition makes it unreal. Also, the disregardful mockery by Bauaa of the wheelchair-bound Afia strikes you as rude, but the fact that it is coming from Bauaa, who was ridiculed all his life by everyone, reduces the impact somewhat. The big negative is the length of the film. At 164 minutes, it appears to be a never-ending affair which you want to escape but can't because despite all the humdrum you still want to see how it all ends. Shah Rukh Khan once again proves that he is the king of romance with his charm and grand gestures of love. His energy and commitment to the part of the vertically challenged Bauaa Singh are unquestionable, and remind you once again of the versatility of the actor. Anushka Sharma tries her best to portray a person affected by cerebral palsy, but the physical requirements of the role, including the trembling movements of the arms and the speech defects needed, are difficult for her to pull off, failing to meet the level of, say, Eddie Redmayne as Stephen Hawking in The Theory Of Everything. Having said that, Sharma still delivers a commendable performance. Katrina Kaif as Babita Kumari, a perpetually drunk and heartbroken movie star, delivers a realistic performance. Mohammed Zeeshan Ayyub as Guddu Singh, the best friend of Bauaa Singh, is laudable, and holds himself well against the industry heavyweights. The cinematography is amazing, with the effort put in to painstakingly capture every single detail of the each scene being evident. The score is good, too, with Mera Naam Tu in particular capturing your attention with its vivid colours and music. For a romantic comedy, Zero takes the road less travelled, focusing on a set of protagonists each incomplete in their own ways but possessing such optimism that they make the whole affair endearing and leave you dreamy. If you are looking for some of King Khan's magic, Zero is a movie worth your time - or maybe worth a little less of it, given the length. Be the first to comment on Zero! Just use the simple form below. fullhyd.com has 700,000+ monthly visits. Tell Hyderabad what you feel about Zero!